Lagos – A Federal High Court Lagos, on Thursday, again adjourned judgment until March 28, in a suit by a physically challenged lawyer, Mr Daniel Onwe, contesting the non enactment of a disability law in Nigeria. Justice Ayokunle Faji had fixed Thursday to deliver judgment in the suit but told parties that the judgment was not ready. Onwe, had commenced the suit against the President of the Federal Republic of Nigeria, and the National Assembly in 2014, over alleged failure to enact a law protecting the rights of persons living with disabilities in the country. The applicant also demands broad interpretation of the constitutional rights to dignity of human person, freedom of expression, Association, and freedom of movement, to accommodate the peculiarities of persons with disabilities. Faji told parties that since the court was still within time to deliver it’s judgment, it would be delivered hopefully on the next date. NAN reports that the court had on the last adjourned date, taken arguments from counsel, on the substantive suit, as well as a preliminary objection to same. The applicant’s suit was first assigned to Justice Mohammed Yunusa, and later to Justice Jude Dagat after the transfer of Yunusa from the Lagos division of the court. Again, following the transfer of Dagat out of the Lagos division, the suit was re-assigned to Justice Mohammed Aikawa. On Feb. 2, 2017, Justice Aikawa struck out the suit after the applicant informed the court that he was withdrawing same. The applicant’s withdrawal was sequel to a preliminary objection raised by the respondent, that the processes were not properly endorsed for service outside the jurisdiction of the court. The applicant however, re-filed the suit on Feb. 9, 2017, seeking similar declarative reliefs. The suit numbered FHC/LA/CS/168/17 was then assigned to Justice Ayokunle Faji, who now seats as the fourth judge in the suit. In his application, Onwe argues that the absence of a disability law, amounted to a violation of the rights of the physically challenged, who he estimates at over 23 million in the country. 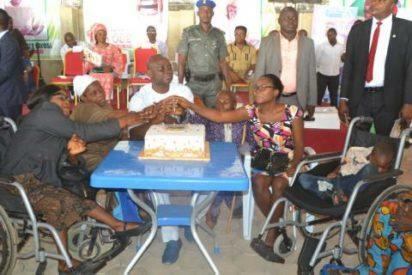 The post Enactment of disability law: Again court adjourn judgment until March 28 appeared first on Vanguard News.